HELOC Vs Refinance: Which Option Is Right For You? Tapping into the equity of a home in order to secure funding is an efficient, cost-effective way to gain immediate access to capital. There are several financial vehicles that award homeowners the ability to borrow against their own equity in order to receive immediate funding. 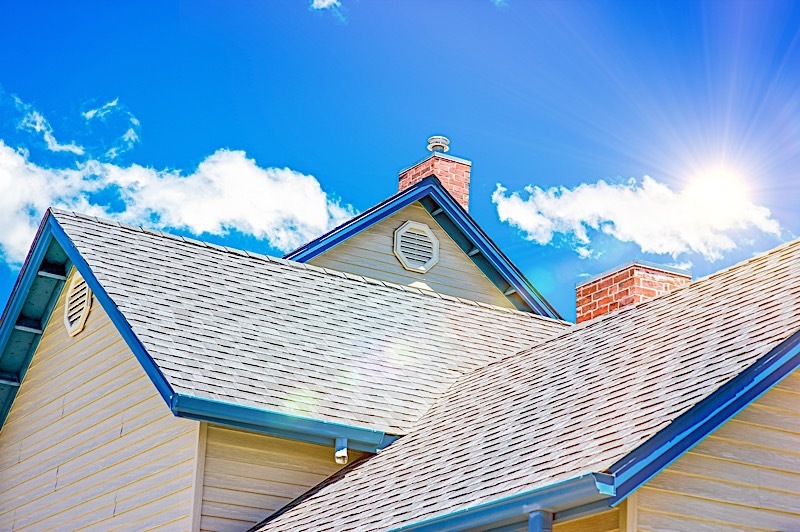 It is worth noting, however, that there are two methods that appear more popular than their counterparts: the home equity line of credit (HELOC) and the cash-out refinance. Both of these “loans” have proven capable of supplying homeowners with access to cash, but there are subtle differences that must be accounted for. More importantly, which one is best suited for your unique situation? One thing is for certain: the answer to the HELOC Vs refinance debate will only be made apparent to those who look at each option objectively, and with an eye for their particular needs. Home equity lines of credit are the byproduct of what many believe to be the greatest benefit of homeownership: the ability to build a 100 percent equity position in a respective property. More specifically, however, HELOCs award homeowners the opportunity to tap into the equity they have managed to build, and use it as a cost-effective method of securing funds. As their names suggest, HELOCs work very similar to that of today’s most common credit cards. Those who decide to borrow against their home’s equity will be given a credit limit based on the amount of equity they currently have. Borrowers are free to spend as much or as little as they like, as long as they stay within the limits defined by their available equity. Of course, to qualify homeowners need to maintain an equity position of at least 20 percent. Only then will HELOCs serve as a viable source of funds. Home equity lines of credit have become synonymous with today’s most convenient and inexpensive means of borrowing money. That said, HELOCs aren’t without a few caveats that warrant your consideration. There are, after all, several pros and cons one should account for prior to taking out a HELOC of their own. Flexibility: Home equity lines of credit remain true to their names, as borrowers have the flexibility to draw from their equity whenever they see fit. To that end, homeowners don’t need to borrow the entire amount of their equity; they can borrow as much or as little as they want. What’s more, they won’t be forced to pay interest on the money they don’t use. Tax Benefits: In the event the HELOC is used to buy, build or substantially improve the home against which it was borrowed, homeowners may be able to deduct some of the interest incurred. Relatively Low Cost: Due, in large part, to the fact that HELOCs are secured against the value in a subject property, it’s common to find these loans with very competitive rates. More often than not, the interest rates on HELOCs will resemble their first mortgage counterparts. Multipurpose: Homeowners may spend the money from a HELOC on virtually anything, but I digress. The flexibility of HELOCs shouldn’t be abused. Remember, the lender takes the house as collateral, so there’s a lot at stake. Be smart with your purchases and make sure you know what you’re getting into. Collateral: In return for allowing homeowners to borrow against their equity, HELOC originators will place a second lien on the subject property, giving them every right to take ownership of the home in the event payment obligations aren’t met. In other words, the more one borrows against their own equity, the more they are exposing themselves to risk. Reduced Equity: As I already alluded to, a HELOC will borrow against the equity in a property, effectively reducing one’s equity position. That said, HELOC borrowers in a down market are at an increased risk of going “underwater” on their mortgage. Hopefully reading through these pros and cons will help clarify the HELOC Vs refinance debate many of you may be having at this very moment. Not unlike a home equity line of credit, a cash-out refinance allows homeowners to tap into the equity of their home. More specifically, however, a cash-out refinance will witness homeowners simultaneously retire their current mortgage while taking out a new mortgage for a larger amount. The excess value over the outstanding balance on the previous loan is then given to the homeowner. Not everyone can qualify for a cash-out refinance. First and foremost, borrowers need to meet the minimum FICO requirements to proceed. Additionally, like applying for a HELOC, homeowners need to have enough equity in their home. A cash-out refinance is a valuable tool when used correctly, but there are several pros and cons borrowers should consider before taking the leap. Below you’ll notice some of the most important pros and cons to account for in your impending cash-out refinance. Lower Interest Rate: While HELOCs have become known for their lower interest rates, properly timed cash-out refinances can result in even lower interest rates. For example, today’s relatively low rate environment represents a great opportunity for those homeowners that may have purchased their home when interest rates were in the double digits a few decades ago. Tax Deductions: Not to be left out of the mortgage interest tax deduction discussion, the interest paid on a cash-out refinance can subtract from your taxable obligations each year. Higher Credit Score: In the event the money is used to pay off credit cards, there’s a chance those who commit to a cash-out refinance could increase their credit score. Collateral: Since a cash-out refinance borrows against a home’s equity, the lender will use the home as collateral, not unlike a HELOC. As a result, it’s absolutely imperative that a cash-out refinance is paid in full each month. Failure to do so could result in the repossession of your home, as stated by the terms of most cash-out refinances. Closing Costs: Borrowers will be required to pay closing costs, just as they would with any other type of refinance. More often than not, closing costs can amount to anywhere in the neighborhood of three to six percent of the mortgage amount. Therefore, it’s important to make sure you spend your money wisely. Private Mortgage Insurance: Cash-out refinances exceeding 80 percent of the home’s value will require the borrower to pay private mortgage insurance to account for the risk of losing equity. HELOC Vs Cash-Out Refinance: Which Will You Choose? The Resulting Interest Rate: One of the biggest factors to consider is the resulting interest rate. Most HELOCs, for example, come with variable interest rates, meaning they’ll change with the market. Cash-out refinance loans, on the other hand, will lock in an interest rate. The Loan Amount: A cash-out refinance only lets homeowners take out up to 80 percent of the home’s value. Home equity loans, however, give owners the ability to borrow up to 90 or 95 percent of the home’s value. Therefore, if you need more money, you may want to go with a HELOC. The Current Interest Rate: The interest rate on your current mortgage will play an important role in deciding between a HELOC or cash-out refinance. If you are currently locked in at a low rate, you may be better off using a HELOC. A cash-out refinance will reset the interest rate to current standards, which could up the price if your previous interest rate was low enough. On the other hand, a cash-out refinance could just as easily reset a high interest rate to a lower one; it al depends on where your interest rate currently is. Closing Costs: Any attempt to conduct a cash-out refinance will be met with closing costs, which can be costly. If you’d like to avoid closing costs, you may want to consider a HELOC. Private Mortgage Insurance: In the event you choose to conduct a cash-out refinance, it’s important to note that borrowing too much from your equity could result in you having to buy private mortgage insurance. Taking out a HELOC won’t result in an owner having to get private mortgage insurance. Only those who objectively approach their own unique situation can ultimately solve the HELOC Vs refinance debate. If for nothing else, your specific needs and preferences should dictate which option is best suited to help you borrow against the equity in your home. That said, those looking at each of these options are better off comparing costs and writing out their own list of pros and cons––only then will the right answer present itself. The HELOC Vs refinance debate can only be solved by those that objectively approach their own needs. Avoid using a generic HELOC calculator and, instead, consult your own lender to figure out how much equity you’ll be able to borrow against. While similar, HELOCs and cash-out refinance options have several differences that warrant your consideration.